We should be grateful to God for allowing us to step in the new day as each comes with its special blessings and challenges. 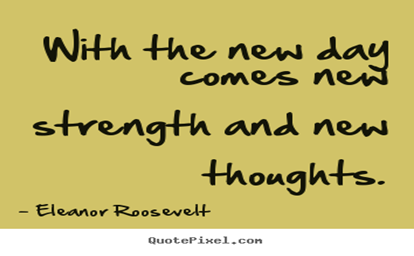 We should not be worried about what the new day has to offer after all we were created us to succeed in life. The success mindset will give the capacity to handle both blessings and challenges. Each has its own challenges but at the same time there is plenty of light in the tunnel for those who care to look for it. You have to look for the blessings of each day. Do not miss out the low hanging fruits for each day. Each day gives you all the freedom to move in accordance with your mission. It also gives the freedom to review your plan for implementing your mission. It gives the liberty to reset your rules of operation. You face new challenges and blessings from which you will learn your life lesson. 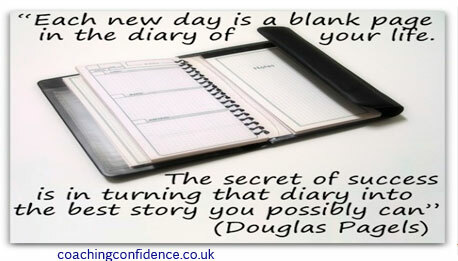 The new day therefore builds on the wisdom of yesterday as a basis to move forward to the world of success. To succeed in life you have only to remember the lessons of yesterday but not to carry forward your failures. You have adequate lessons from yesterday not to repeat its failures. You should use the lessons of yesterday to succeed in the new day. It is up to you to decide what to do in the new day including doing nothing. Therefore prepare a plan for each day to avoid wasting it. 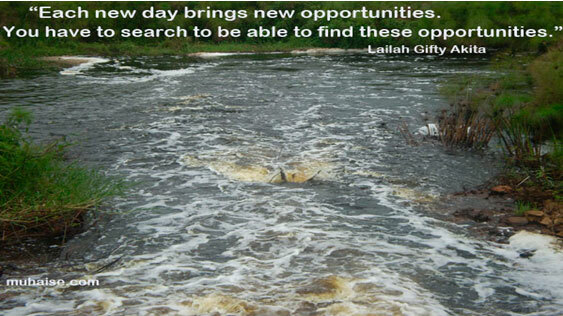 There are many opportunities presented by each new day. It is up to you to select which advances you towards your mission. Before you end each day you must make sure you have accomplished your tasks and you do not leave anything hanging. The work of today should not be carried forward to tomorrow as tomorrow has its own challenges and opportunities. Today’s work will be irrelevant for tomorrow. 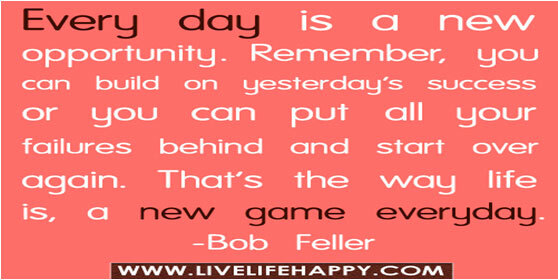 Remember you will live each day once and there is all reasons to celebrate it and thank God for it.